I don’t breed well in captivity. This is a problem, because I live in a cage. Although I enjoy telling other animals that I was born in the wild, the truth is that I’ve been in one cage or another for as long as I can remember. I have some very vague recollections of the wild that feel like a scene from a dream, everything was dark green and scary. But my first clear memories are of the zoo back in Nebraska where I had spent most of my life. My current cage is the most frustrating one I’ve been in yet. The female they have me with, Shama, is not my type at all. I was talking about this with a koala in the next cage, who asked me what my type actually is. I told him I didn’t know, because I’ve only been in a few cages so far and haven’t figured it out yet. Incidentally, Shama is very judgmental about the fact that I socialize with koalas and capybaras and other animals. She’s dismissive of virtually every other species in the zoo (except for elephants, whom she really puts on a pedestal for some reason). She’s particularly hostile to the “great” pandas, probably out of an inferiority complex, shared by pretty much every red panda I’ve ever met. I’m probably not immune to it myself, and I have to say I do find black and white pandas (as we call them) to be pretty dull company. Koalas, though, are great fun to talk with. They sleep 20 hours a day, so they usually like to talk about their dreams. And they have some very weird dreams because of all of the eucalyptus. I try to tell Shama about them, just to make conversation, but she’s completely uninterested, she tells me that koalas are lazy and leaves it at that. The ironic thing is that she considers me the provincial one, because I came from a zoo in the Midwest. My failure to breed in captivity seems to be a lot more worrisome for the zookeepers than for myself. They fret about it endlessly. I get it – we’re an endangered species, our natural habitat is being destroyed, etc. But how can I be responsible for solving that problem? If our species is doomed to extinction, it’s not because one male didn’t copulate with one female that he happened not to be that attracted to. 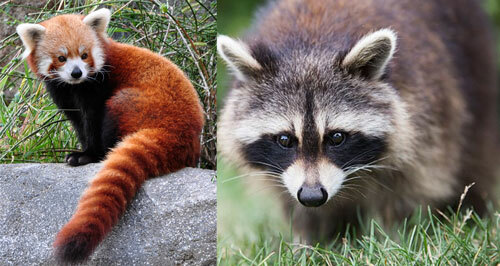 The older red pandas are even worse than the humans. They lounge around in the back of the cage, and only rouse themselves out of their senile haze to eat, or to harangue me about not producing offspring. Anyway, it wouldn’t hurt if Shama made a little more of an effort and didn’t just assume that I’d throw myself at her because we both happen to be red pandas. In spite of all this, being an animal, I would have probably mated with Shama one of these days, sired a few cubs, and put myself in position to spend my twilight years guilt-tripping some poor sap in the front of the cage about not producing any offspring like I had. Except, one day, I uncharacteristically ate some rotten bamboo one of the zookeepers had left out for me. I don’t know why I did it; from the smell I could tell it was borderline edible at best, and I wasn’t even that hungry. Anyway, I came down with some awful indigestion, vomited all over the place (to the delight of a couple of younger human boys who had come to see me, and to the shock of their parents), and before I completely understood what was happening I was down at the infirmary. The infirmaries at these high-class zoos have to be seen to be believed. The one back in Nebraska was a little dirty room with one overworked vet. Here, the cages are spacious and immaculate; veterinary staff comes by so often to check on you it almost makes you uncomfortable. The food is much better than anything you get in the regular cages. And, it gives you the opportunity to meet animals who you might never see otherwise. I happened to be one cage down from a mandrill named Sidney, who had some kind of infection he didn’t want to tell me about. We made small talk for a while, but when I mentioned the location of my cage, he suddenly became more interested. “Did you ever think about escaping?” The obviousness of the question struck me. Despite all of the time I had spent complaining to myself about my situation, the answer was no. I had never really conceived of it as a possibility. “There’s a way out of that cage. Wait until a rainy night…” At that moment, one of the staff came in, and we all became silent. I was worried he was coming in to take Sidney, but he was just there to administer some injections to one of the hyenas, who screamed horribly. That night, Sidney revealed the escape plan to me completely. Shama was asleep. I sat a few feet from her, under the same rock, watching the rain come down. Having been fed early evening before the storm, I was tempted to doze off, too, but I kept myself awake. Suddenly, it happened: one of the oldest bamboo shoots on the edge of the cage, under pressure of the wind and rain, tipped over just enough, so that it rest against the branch of an oak tree that hung just over the far wall. Now, there was a path out. When the rain let up a little, I scurried over to climb the bamboo shoot. God, it was slippery. The first time I started up, I fell almost immediately. I came back and dug my claws in harder this time, moving slowly and deliberately. My hand muscles strained, but I kept going. This was my only chance; no doubt, tomorrow, the maintenance crew would notice the fallen bamboo and cut it down. About halfway up, I looked back and saw the sleeping figures of Shama and the older pandas, not even aware of my escape. The idea of leaving them behind motivated me further. I kept inching my way up the shoot until the branch was in reach. I grabbed hold of it and pulled myself up. Exhausted, I rested on the branch, surveying the zoo for the first time from outside the cage. Zoos are strange places at night. One of my vague memories of the wild is how noisy it was at night – all of the bugs, the bats, the other nocturnal animals made a racket; it was the daytime that was quiet, while everyone was trying to avoid drawing the attention of the predators. In a zoo it’s the opposite. Humans don’t want to watch animals sleep, so zoos tend not to keep many nocturnal animals. So, once the sun goes down and the visitors leave, things are very still. As I climbed down the tree, all I could hear was the sound of the rain. After my conversation with Sidney, I had been so obsessed with the idea of climbing out of the cage that I hadn’t given that much thought to what I would do after I escaped. Sure, I had fantasized about living some particular life in the wild, but didn’t have any idea of how to get there. I decided I would go back to the mandrill for guidance. He had mentioned that his cage was in the north-east end of the zoo, directly opposite from where I was. That walk through the zoo was probably the eeriest experience of my life. Every animal was asleep in its cage, I was outside and completely alone. Congrats, Aar!!! Fabulous story showing great talent and creativity! Nice story. You are talented! I liked this much more than Catch-22!